We are delighted to announce that Into-Play @ The Quays have received an award from daynurseries.co.uk for being amongst the top 10 most recommended day nurseries in the South West! Congratulations, girls!! 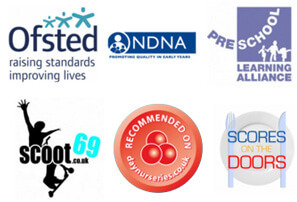 You can view our “Day Nurseries” recommendations for all 3 sites by clicking on the Home Page and clicking each sites icon.